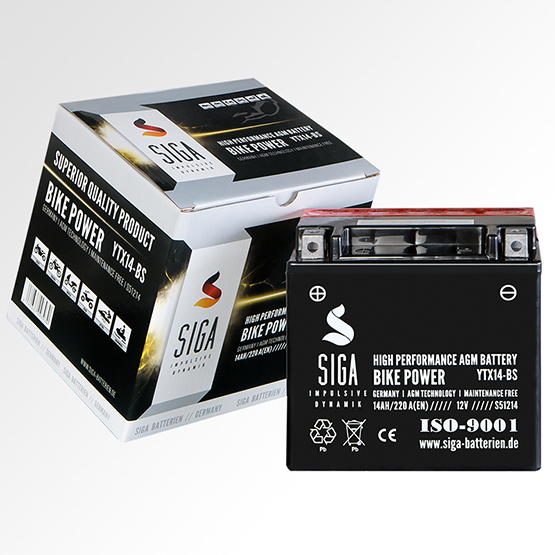 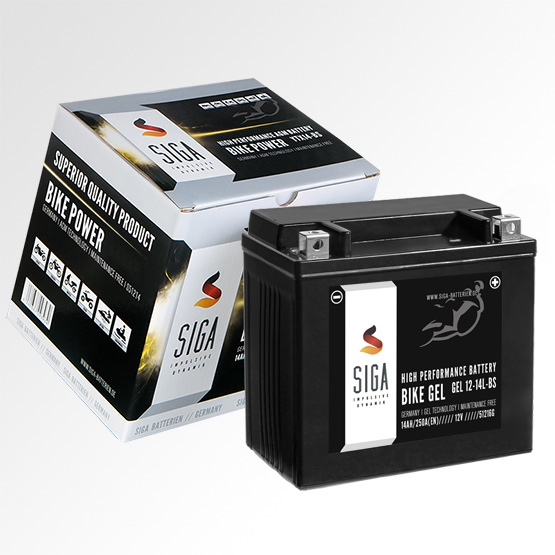 SIGA BIKE AGM & BIKE GEL and Lead-Acid motorcycle batteries feature an advanced motorcycle technology and are absolute bundle of energy for seasonal use. 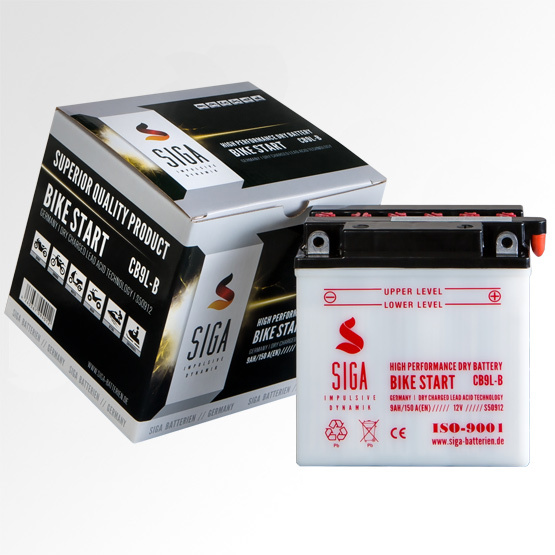 Their superior starting power in all weather conditions is the result of a perfectly matched plate structure, and a special seperator technology. 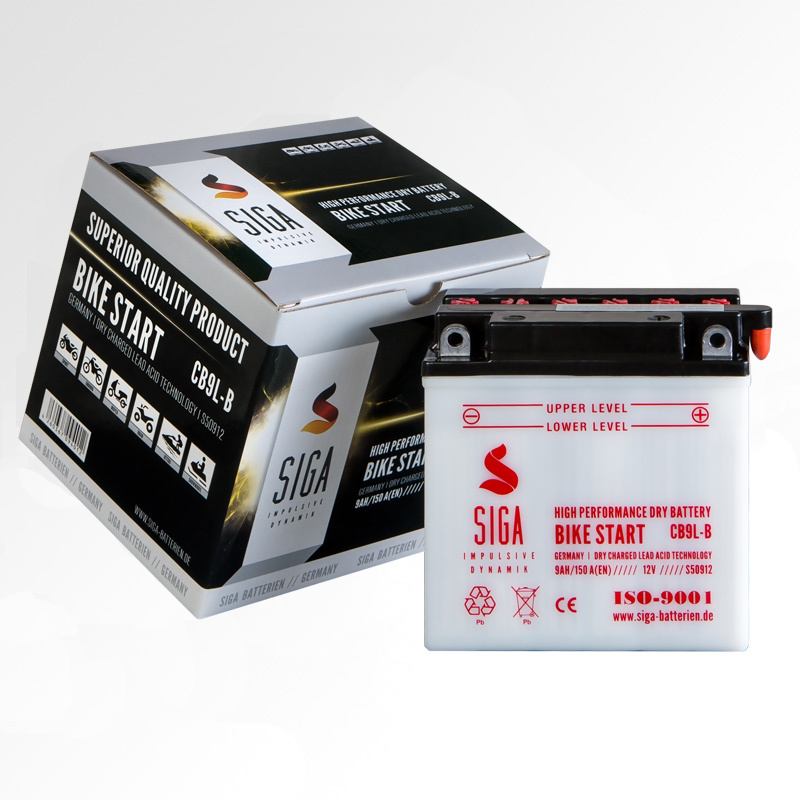 They were designed, so that they can always be installed in motorcycles of all known manufacturers.